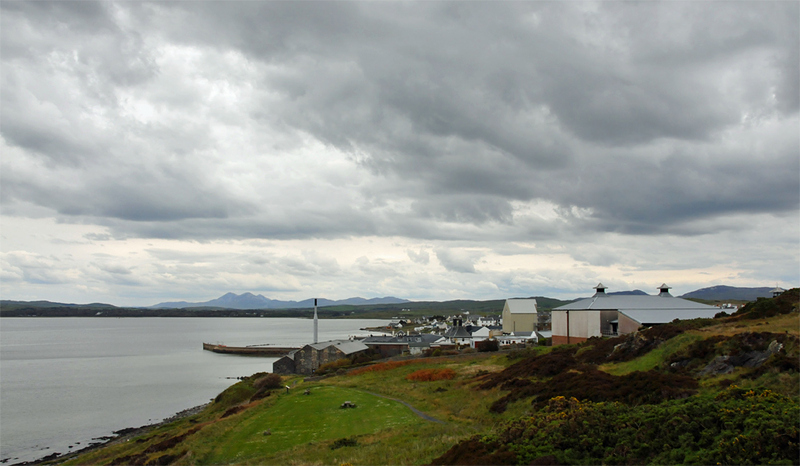 A cloudy view of Bowmore at the shore of Loch Indaal from the Battery. Bowmore distillery on the shore. The large building on the right belongs to Islay High School, not the distillery, despite the pagodas. Also note the Paps of Jura in the distance. This entry was posted in Cloudy Weather, Distilleries, Landscape, Repost, Sea Loch, Village and tagged Bowmore, Islay, Loch Indaal, Paps of Jura by Armin Grewe. Bookmark the permalink.